NEW YORK, NEW YORK (March 22, 2019) — Composer Christopher James’s upcoming album Grace from Persistence, his third as a solo artist,represents a synthesis of musical genres from jazz and pop to classical and film music, informed not only by his early experiences scoring for film and television, but also by his many years working with leading artists and on major soundtracks as an executive and producer for Universal Music Group. Mr. James’s music takes inspiration from the visual and the dramatic, and two of the ten tracks on this recording (“Grace from Persistence” and “Mother Russia”) feature accompanying video. The album was recorded in April and August 2018 in Portland, OR and New York City, and features more than 30 musicians, including Mr. James on piano, the Catalyst Quartet, and members of the Orchestra of St. Luke’s, Oregon Symphony, Orpheus Chamber Orchestra, and Talea Ensemble. Grace from Persistence is released by Val Gardena Music on Friday, April 5 and will be available via Amazon, iTunes, and Spotify. Cinematography and direction by Cypress Jones. 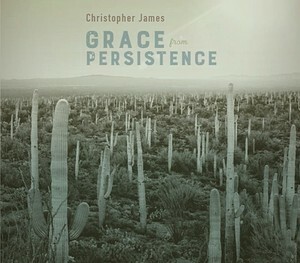 Grace from Persistence was preceded by Mr. James’s solo albums House by the Railroad (2015) and The Sad Waltz (2017). House by the Railroad was inspired by his family history in Portland, OR, while The Sad Waltz is a collection of stylistically varied compositions written programmatically for an imagined visual environment. All three of Mr. James’s solo albums were created in collaboration with engineer, co-writer, and co-producer Bob Stark, and The Sad Waltz and Grace from Persistence were both mixed by Grammy Award-winning engineer Kevin Killen. In addition to his work as a solo artist, Mr. James has partnered with Jeff Leonard under the name Val Gardena since 1994, recording five albums together, including three releases on Mercury Records. 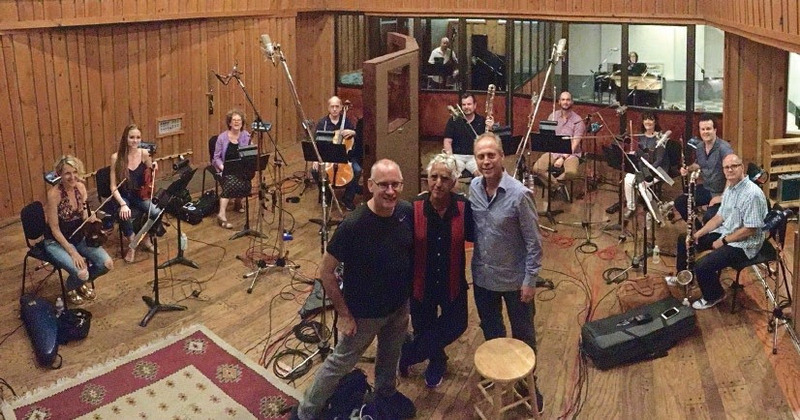 Christopher James and collaborators at the Power Station recording studio in New York City. Christopher James (born Christopher James Roberts) is an American composer, producer (Paula Cole, Renée Fleming, Val Gardena), and ex-CEO of Universal Music Group’s Classical and Jazz division. An accomplished classical pianist, he earned a B.A. in Music and German Literature at Lewis and Clark College in his hometown of Portland, Oregon. His graduate studies in Musicology at the University of Illinois took him to Germany for post-graduate research. He stayed, and for several years he composed and produced music for the German film and television industry. With a style reflecting pop, as well as his classical and jazz training, Mr. James’s music was heard in prime time on various German National TV networks. Musical influences include Elton John, Burt Bacharach, Brian Eno, Jimmy Webb, John Barry, George Gershwin, Bach, Chopin, Ravel, and Stravinsky. In 1988, a unique opportunity presented itself when PolyGram Records was refocusing its strategy on international markets. He was brought on board to lead this effort in New York City. Five years later, he was promoted to President of Classical and Jazz Music. During his tenure, he oversaw the world’s largest and most successful classical and jazz label group while working with—and signing—some of the genre’s greatest artists, including Luciano Pavarotti, The Three Tenors, Renée Fleming, Anna Netrebko, Lang Lang, Chris Botti, and Andrea Bocelli. Additionally, he was executive producer on some of the most successful albums of the past 25 years including Sting’s If on a Winter's Night…, Gladiator(soundtrack), Wicked (Broadway cast and Grammy winner), Spamalot (Broadway cast and Grammy winner), and The Boy from Oz featuring Hugh Jackman. He is now rededicating himself to his true passion of composing and making new recordings. He composes works across multiple genres for sync and licensing use and is also a producer / composer for hire. Additionally, he serves as an Artistic Advisor to The Gilmore. For more information, visit christopherjamesmusic.net. Recorded in April and August 2018 at Power Station in New York, NY and Sonic Media Studios in Portland, OR.